economic aspects: the direct and indirect costs of diabetes. 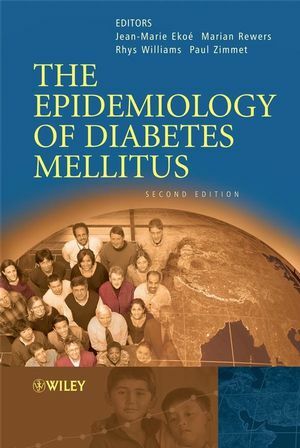 The Epidemiology of Diabetes Mellitus fills the need for a current compendium of diabetes epidemiology in the tradition of the first monumental text of the late Kelly West. It is essential reading for general practitioners, diabetologists, clinical endocrinologists, cardiologists, epidemiologists, nurses, dieticians, and other diabetes care providers, as well as health care decision makers. Professor Jean-Marie Ekoe. Endocrinologie, Metabolism et Nutrition, Centre de Recherche CHUM, Canada. Professor Marian Rewers. MD, PhD, Professor, Pediatrics & Preventive Medicine, Clinical Director, Barbara Davis Center for Childhood Diabetes, University of Colorado, School of Medicine, USA. Professor Rhys Williams. University of Swansea. Professor Paul Zimmet. Director, International Diabetes Institute, Australia. 1: Introduction (Jean-Marie Eko´e, Marian Rewers, Rhys Williams and Paul Z. Zimmet). 2: The Clinical Syndrome and the Biochemical Definition (Jean-Marie Eko´e, Paul Z. Zimmet and Jean-Francois Yale). 3: Diagnosis and Classification (Jean-Marie. Eko´e and Paul Z. Zimmet). 4: Epidemiology of Metabolic Syndrome (Dianna J. Magliano, Adrian Cameron, Jonathan E. Shaw and Paul Z. Zimmet). 5: Obesity and Diabetes (Rachel Huxley, Abdullah Omari and Ian D. Caterson). 6: Methodology for Physical Activity Assessment (Kristi L. Storti, Edward W. Gregg and Andrea M. Kriska). 7: Epidemiology of Nutrition and Diabetes Mellitus: Etiology and Environmental Factors (Jim Mann and Monika Toeller). 8: Genetic Epidemiology of Type 2 Diabetes (Leif Groop, Valeriya Lyssenko, Charlotte Ling and Marju Orho-Melander). 9: Epidemiologic Aspects of Type 2 Diabetes Mellitus in Europe (Harry Keen). 10: The Burden of Diabetes and its Complications in theMiddle East and Eastern Mediterranean Region (Imad M. El-Kebbi and Michael M. Engelgau). 11: Epidemiology of Diabetes in Africa (Ayesha A. Motala, Mahomed A. K. Omar and Fraser J. Pirie). 12: Epidemiology of Diabetes Mellitus in Latin America (La´ercio J. Franco and Sandra R. G. Ferreira). 13: Diabetes in the Caribbean . . . an Epidemiological Review! (Errol Morrison and Dalip Ragoobirsingh). 15: Epidemiology of Diabetes Mellitus in China (Juliana C. N. Chan and Clive S. Cockram). 16: Epidemiology of Diabetes in South East Asia (Ambady Ramachandran and Chamukuttan Snehalatha). 17: The Epidemiology of Diabetes in Pacific Island Populations (Stephen Colagiuri, Taniela Palu, Satupaitea Viali, Zafiml Hussain and Ruth Colagiuri). 18: Epidemiology of Type 2 Diabetes in North America (Linda S. Geiss, Jing Wang, Edward W. Gregg and Michael M. Engelgau). 19: Non-Caucasian North American Populations: Native Americans (Meda E. Pavkov, K. M. Venkat Narayan, Robert G. Nelson, Robert L. Hanson and William C. Knowler). 20: Epidemiology of Type 2 Diabetes in Hispanic North Americans (Judith Baxter and Richard F. Hamman). 21: Non-Caucasian North American Populations: African Americans (Mary A. Banerji and Harold Lebovitz). 22: Epidemiology of Diabetes in Asian North Americans (Marguerite J. McNeely and Wilfred Y. Fujimoto). 23: Epidemiology of Type 2 Diabetes in Children and Adolescents (Jonathan E. Shaw and Dana M. Dabelea). 24: Global Epidemiology of Type 1 Diabetes (Lars C. Stene, Jaakko Tuomilehto and Marian Rewers). 25: Epidemiology of Childhood Diabetes Mellitus in Non-Caucasian Populations (Rebecca B. Lipton). 26: Genetic Epidemiology of Type 1 Diabetes Mellitus (Kirsten O. Kyvik and Anders Green). 27: Recent Trends in Screening and Prevention of Type 1 Diabetes (Marian Rewers). 28: Non pharmacological Prevention of Type 2 Diabetes (Jaakko Tuomilehto). 29: Pharmacological Prevention of Type 2 Diabetes (Andr´e J. Scheen). 30: The Epidemiology of Eye Diseases in Diabetes (Tien Y. Wong and Ron Klein). 31: The Epidemiology of Diabetic Kidney Disease )Anne T. Reutens, Louise Prentice and Robert C. Atkins). 32: Epidemiology of Large-vessel Disease in Diabetes: Coronary Heart Disease and Stroke (Elizabeth Barrett-Connor). 33: The Epidemiology of Peripheral Vascular Disease (Nalini Singh, Stephanie Wheeler and Edward J. Boyko). 34: Epidemiology of Diabetic Neuropathy (Andrew J. M. Boulton). 35: Epidemiology of Acute Complications: Diabetic Ketoacidosis, Hyperglycemic Hyperosmolar State and Hypoglycemia (Alberta B. Rewers). 36: Mortality and Life Expectancy Associated with Diabetes (Elizabeth L. M. Barr, Paul Z. Zimmet and Jonathan E. Shaw). 37: Economic Costs (Rhys Williams and Thomas J. Songer). 38: Clinical Practice Guidelines: A Global Perspective (Barbara Currie, Ehud Ur and Thomas Ransom). 39: Antipsychotic Therapies and Glucose Dysregulation in the Mental Illness Population (Gilbert L’Italien and John Newcomer). 40: Diabetes, Insulin Resistance and Glucose Metabolism in HIV Infection and its Treatment (Kathy Samaras and Don J. Chisholm).